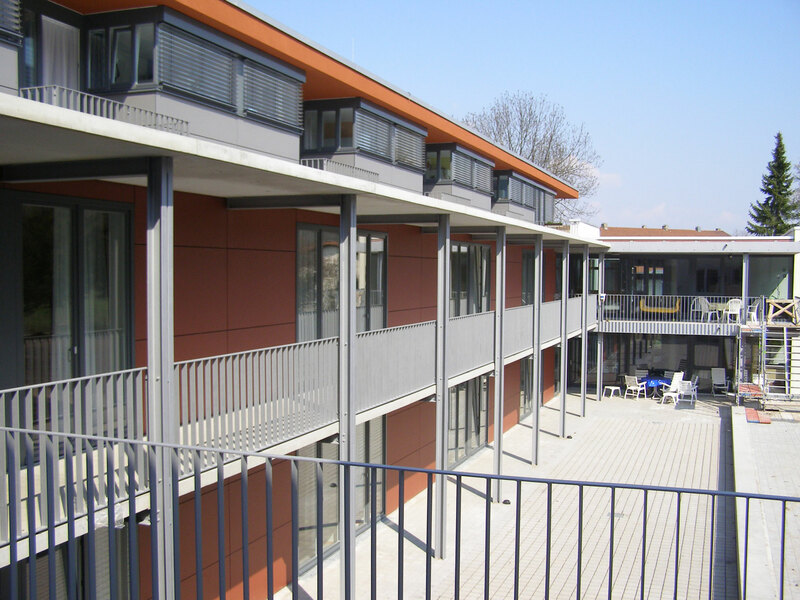 The building was realized in Low Energy Standard 50 kWh/m²a and negative CO2 equivalent. The intake air is preconditioned in an underground duct. In summer the building is cooled by night air cross ventilation using operable windows. The building has a controlled mechanical ventilation with a highly efficient heat recovery system. The energy and heat is generated from co-generation plant on the grounds of the neighboring dairy farm. Methane gas serves as fuel which is gained from cow dung and fat. The electricity production is making it profitable for the farmer.